Gerber Technology welcomes Keith Krystofolsky as vice president of Professional Services for the companys YuniquePLM and webPDM software products. He will manage Gerbers global team of consultants and technical experts through customer implementations and continuous software enhancements. Krystofolsky brings with him more than a decade of experience working with PLM systems and processes across a number of global, diverse, multi-channel companies. He comes to Gerber from Fifth and Pacific Companies (formerly Liz Claiborne, Inc.) where he was the director of design and product development systems. Prior to that, he was the manager of product technology at New York & Company, Inc. and an application analyst at Limited Brands. Donny Askin, president of Gerbers YuniquePLM business, said, In the past two years, more than 40 fashion companies throughout North America and Europe have adopted YuniquePLM to drive business growth and process improvement across their organizations. From these successes comes a wealth of “voice of customer” feedback that drives continuous product improvement. Among other things, Keith will serve as the direct liaison between our users and our product development team. Krystofolsky said, I have worked with a number of PLM systems in the past and am delighted to be working with a product that I know is wholeheartedly embraced by people across the fashion industry designers and IT professionals alike because its intuitive to use, makes it easier to collaborate with partners, and, in the end, helps teams create a more appealing product for the consumer. For more than four decades, Gerber Technology has been the world leader in providing sophisticated hardware and software systems to automate and more effectively manage the product design and manufacturing process. We serve 25,000 customers, including more than 100 Fortune 500 companies, in the aerospace, apparel, retail, composites, packaging, furniture, technical textiles and transportation interiors industries in 130 countries. Our products help users move faster, at less cost and with the highest quality. Based in Connecticut, USA, Gerber Technology is owned by Vector Capitol, a San Francisco-based, global private equity firm specializing in the technology sector that manages more than $ 1 billion of equity capital. Visit http://www.gerbertechnology.com for more information. Colorados public universities are teaming with the Colorado Cleantech Industry Associations newest program to offer executive training in clean technology ventures to individuals outside of the industry. The Cleantech Fellows Institute addresses a simple but bothersome problem: not enough seasoned executives in the cleantech industry. The objective of the program is to help experienced entrepreneurs and executives accelerate their transition into the cleantech sector, stimulating new venture formation, job creation and growth of the cleantech industry. The Cleantech Fellows Institute is the first of its kind with a national focus and is accepting applications now through July 27. The program will begin in September and combines seminars, lectures, lab visits, capstone and other business planning projects within the university settings at Colorado School of Mines, Colorado State University and the University of Colorado. Providing introductions to the national cleantech eco-system, world-class technology and a strategic understanding of the industries within cleantech to seasoned entrepreneurs is critical to venture formation, said Cleantech Fellows Institute Director Wayne Greenberg. Our unique partnerships and collaborations with the university and research community in Colorado makes the state an ideal location to promote, build and grow a successful clean technology startup. The technologies used to develop the venture-backed companies are emerging from research laboratories at the three universities and the Department of Energys (DOE) National Renewable Energy Laboratory (NREL). Targeted executives are those who have built successful companies in different sectors such as aerospace, biotechnology and enterprise technology. CUs research laboratories are developing sophisticated, clean technologies with significant market potential, said David N. Allen, CUs Associate Vice President for Technology Transfer. Combined with the leadership expertise of the executives coming into the Cleantech Fellows Institute, we believe these technologies have a high potential for success in the commercial world. The Colorado School of Mines prides itself on educational programs based on cutting-edge emerging technologies and on real-world collaboration with leading business people as part of our instructional offering, said Will Vaughan, Director, Technology Transfer at Colorado School of Mines. Partnering with the Cleantech Fellows Institute gives us another opportunity to work at the nexus of academia and entrepreneurship. The key to the programs success will be the executives exposure to commercially-ready technologies from Colorado sources. Working with the universities and energy laboratories, as well as a team of cleantech industry insiders, the executives will develop a deep understanding of the technologies being developed at each institution. Each executive will select a technology that sparks their interest and plan a capstone project to present in January 2013. As CSUs chief advocate for research activities and the promotion of CSU technology into the marketplace, I am excited to be a part of this cleantech era of technology development and commercialization, said Bill Farland, Vice President of Research at Colorado State University. CSU is working to ensure that our most significant innovations are getting out into the marketplace to the people who need them and our partnership with the Fellows Institute supports that mission. The Cleantech Fellows Institute was created by the Colorado Cleantech Industry Association and is supported by NREL and Advanced Energy Economy (AEE), a national business organization of which CCIA is a founding chapter. Information on how to apply for the program is located at cleantechfellows.com. The Colorado Cleantech Industry Association (CCIA) represents the interests of the states cleantech industry. Its mission is to further establish Colorado as a world leader in clean technology by providing representation and advocacy, a unified voice, relevant programming and capacity development. For more information, visit http://www.coloradocleantech.com. New Energy Works Timberframers is pleased to announce the addition of Bryan Bleier, Fred Klein, Assoc. AIA, and Owen MacDonald to their engineering group. Bryan, Fred, and Owen will be active members of New Energy Works Timberframers engineering team connecting with architects, designers, and builders regarding timber frame engineering, plans, raisings, enclosures, and fine woodworking on residential and commercial projects. Were glad to welcome these new members to our engineering group, says Brian Mosch, general manager at New Energy Works Timberframers. In addition to their primary skill set, each person brings professional experience in the architecture, design, build, and construction fields which will greatly benefit our partners, our clients, and our internal organization. New Energy Works Timberframers have been designing and building environmentally responsible timber frames across the USA for nearly 30 years from their facilities in New York and Oregon. Offerings include: Timber Framing (design, engineering, manufacturing, build), Enclosure Systems, Fine Woodworking, Recycled and Sustainable wood products. New Energy Works has LEED AP staff members, is a member of the US Green Building Council, and is FSC Certified. Working Solutions, a pioneer in the hosted contact center model, is pleased to announce the addition of Scott Moberly, Sales Director and Ken Wheeley, Regional Sales Manager to its expanding sales team. Both bring over 20 years of sales and leadership experience in the telecommunications industry. Moberly will be planning and directing the sales activities of the company. Wheeley will be responsible for identifying and closing new business opportunities as well as delivering on revenue targets to help in the overall growth and success of Working Solutions. Scott and Ken are two talented, tech-savvy sales professionals who understand market trends and client needs. I am positive they will help take our company to the next level as well as contribute innovative ideas, said Tim Houlne, CEO of Working Solutions. Founded in 1996 by company President and COO Kim Houlne, Working Solutions has grown from a single agent to a virtual call center community of more than 100,000 work-at-home professionals in North America over the past 17 years. Working Solutions is an innovative company that continues to break boundaries. I believe our sales and marketing team is strategically ready to take the company to the next level, said Moberly, an alumnus from Indiana University, as well as a graduate of the Army Command & General Staff Officer Course. I want to help companies understand that having agents work from home is a natural step in the evolution of the telecommunications industry. When you have the right partner using the right technology and processes, home-based agents are more productive and offer greater levels of customer service than their facilities based co-workers, said Wheeley, who received his degree from Cumberland University. With the recent expansion of their sales and marketing team, Working Solutions continues to strategically plan for market growth with a focus on bringing greater value to clients, increasing customer satisfaction and providing positive return on investment. A&I Solutions would like to announce the Employee of the Week, Tim Higgins. Tim is a Senior Architect on the A&I Service Assurance Team. Throughout the years, Tim Higgins has worked in various locations across North America assisting customers to install, configure, and operate purchased software. As a senior consultant for A&I Solutions, his responsibilities cover those areas as well as a wide range of activities. For example, Tim works closely with A&I customers by mentoring personnel and providing knowledge transfer. Also, he implements triage, diagnosis, and root cause analysis of application performance problems and architecture of monitoring infrastructure in the client environment. As an A&I employee, Tim has worked for several companies throughout the past two years. Those include Disney, Coach, Verizon, Arizona Department of Economic Defense, Federal Bureau of Investigation (FBI), SeaWorld, Fidelity Investments, First Citizens Bank, Nascar, General Electric (GE), Harris, Liberty Mutual, Purdue, N-DEx, and many more. He has accomplished many tasks and has done impeccable work for these companies. In August, Tim will be celebrating his two year anniversary with A&I Solutions. He has been an added benefit to the company and we appreciate the time and effort he has put into his work on the Service Assurance Team. Tim has created new opportunities for our organization and has been an active part in the success of A&I Solutions. It was great working with Verizon, because of all the knowledge that I learned in such a short period. I went in planning to do a simple install of the APM architect and a few agents to monitor their application. In no time we ran into issues. The 1st issue was a bug we found in the .NET agent after working on it all night, it was really about 6 am the following day when we got it resolved. Before our findings, I worked with a team of experts for about 3 weeks, pushing long and hard hours trying to resolve a resource issue. We got it working and I moved on to my next project which we finished early to find out that Verizon needed me back for another issue. This time our agent was pushing their servers over the 95% resource mark. Basically, with our agent the application was still putting them over 95% of memory on their production servers. This time it took 3 days for us to see that it wasnt our agent. Their application was running at 85% 90% without our agent. Our agent would put 1% of overheard per process adding 10% to what they already had. In a normal application adding 10% isnt a big difference but with an application already pushing the limits, that is a lot. The last few days we spent helping the client trim down their application by looking at some simple best practices and simple ideas. That was a great experience because not only were we able to debug CA but we were able to assist the client with other issues as well. I had a great experience working with Tim on the initial rollout of the CA Introscope for my current company. Even with the long hours, demanding requirements, and stressful time crunch, Tim helped make the experience better with his technical counsel and positive attitude. 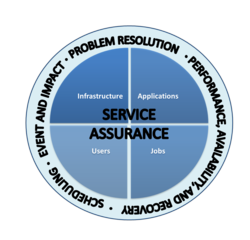 A&I Solutions Application Performance Management and Monitoring team is a premier Direct Managed Partner and service provider of CA Service Assurance and Application Performance Management. Our Network Performance Management tools can help you continuously monitor application delivery across physical, virtual, and cloud environments. Ultimately, our team of experts assures that end-to-end application response times meet or exceed SLAs and business requirements. A&I Solutions has extensive experience in APM Introscope, CEM, DB Insight, Spectrum, eHealth, Nimsoft and Service Operations Insight. A&I Solutions is North America’s premier provider of integrated enterprise solutions, dedicated to implementing solutions from CA technologies. A&I Solutions provides enterprise products and services to help companies achieve the highest level of performance. We focus on the best rated products and extensive experience to deliver comprehensive integrated Enterprise Solutions. Working with enterprise management, resource planning, service assurance, security and infrastructure monitoring, A&I helps organizations achieve their full potential by driving consistency and maximizing efficiency. Our proven methodologies, innovative best practices and deep technical experience produce better business results for our Customers. A&I has expertise across all IT environments – physical, distributed, cloud, virtual and heterogeneous platforms. We specialize in the following: CA Security Suite, CA Clarity, CA Wily – Introscope, CEM, SOI, NetQoS, Reporting – Business Objects, Crystal Reports, Actuate Reporting, Enterprise Integrations. For more information please visit http://www.anisolutions.com. Todd is a senior consultant on the Service Assurance Team at A&I Solutions and is certified in Introscope, CEM, and APM. He is experienced with IT management over multiple disciplines including: database administration, architecture, and product and program management. He explains, I enjoy working with customers on implementations and education of best practices. Though, what I really love is working with data contained to provide clear information to non-technical individuals and groups. Todd specializes in database administration, application development, and application support. Before becoming an A&I employee, Todd worked for several companies as an Applications Developer/Database Administrator and managed several development teams. His past work experience has given him the skill set to differentiate himself from others in the workforce. Since becoming a member of the A&I Service Assurance Team, Todd has worked with a number of companies, some including: JCPenney, Sun Trust, McKesson, Bank of America, and JPMorgan Chase and Co. I recently completed working with Todd on a 6-month Wily project for a large financial institution. Todd was an instrumental member of the project team. 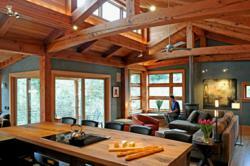 From early on he established excellent relationships with the customers technical team members. Todd ensured that we have excellent documentation that describes in detail the customers technical environment and produced detailed process documentation. He coordinated the day-to-day activities of the entire technical team to ensure that they follow up on issues on a timely basis and focus their work on the top technical issues. In addition, Todd took on many of the tough technical challenges himself and was diligent to follow them through to resolution. I relied on Todd heavily to ensure the technical team works at their highest level of productivity. Todd is a valuable addition to any project team and I would be glad to work with him again in the future. AtHomeNet, Inc., a provider of web-based services for community associations, announces their planned integration with Las Vegas based property management software provider, Team Soft Solutions, creators of Village Management Software (VMS). The integration will allow residents of communities to view their account information by logging into their AtHomeNet community website. The idea behind partnering was based on requests from both companies clients. Team Soft Solutions Owner, Michael Renaldo explains, We have clients who have been asking for integration with AtHomeNet, and we are very pleased that we will soon be able to provide it. Initial integration will provide clients residents access to their Account Balances, Last Payment Information, and Charges & Payment Account History – all through their communitys AtHomeNet website. Future additions as a result of the partnership include providing access to violations, architectural requests, and more. Serving more than 650 association management companies in the US and 7 other countries, AtHomeNet is focused on helping them provide better services to their community clients. One of our goals is to make it easier for our management company clients to do their job, says Susan Sanders, AtHomeNet CEO and Co-Founder. This new collaboration will do just that by helping our VMS clients reduce phone calls and emails to the association manager while putting important information in the hands of their residents. VMS provides interactive, real-time property management tools to thousands of homeowners associations, condominium associations, and apartment/rental management companies. 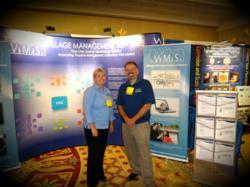 For more information visit http://www.villagemanagementsoftware.com. Steven Raines, Algonquins Chief Executive Officer, and Stephen Kiernan II, Algonquins President were both included in Buffalo Business Firsts Whos Who in Technology 2012 list, published by the paper on Monday, June 18th. According to Donna Collins, Senior Editor at Business First, the executives included on the list represent the companies that appear on Business First’s annual top lists of companies in the technology sector, including office equipment and telecommunications companies, technology companies, and wireless service providers. About Algonquin Studios – Algonquin Studios is a professional services firm providing world-class software development, customized IT services, web design and web content management systems, and business and technology consulting since 1998. Algonquin Studios provides expert business solutions for many industries including health care, legal, financial, and not-for-profit. The company is headquartered in the heart of downtown Buffalo, surrounded by squares, shops, restaurants, architectural attractions, and all the other gems of the city, and has a Manhattan office, located on Wall Street, in the center of the city’s bustling financial district.